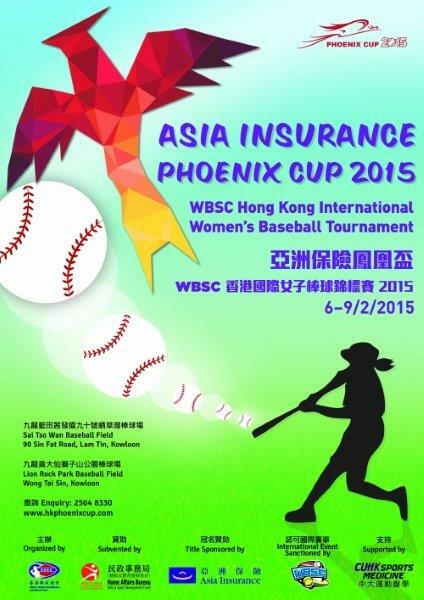 Jaapan's Osaka University of Health and Sport Sciences club were crowned champions of the 2015 Asia Insurance Phoenix Cup WBSC Hong Kong International Women's Baseball Tournament. The Phoenix Cup platform expanded from eight teams in 2014 to ten teams in 2015. The international tournament included teams from six nations, including Australia, Chinese Taipei, host Hong Kong, South Korea, Japan, and Singapore. Baseball Australia earned the bronze medal and was represented by its National Team. Dr. Felix Yip, new Chairman of the Hong Kong Baseball Association, host of the event, was pleased with the growth of the annual women's baseball tournament as an international platform and pathway for young women to be better represented and have more opportunities in sport.